The National Disaster Mitigation Agency (BNPB) will organize disaster mitigation education for millions of students in disaster-prone areas this year. 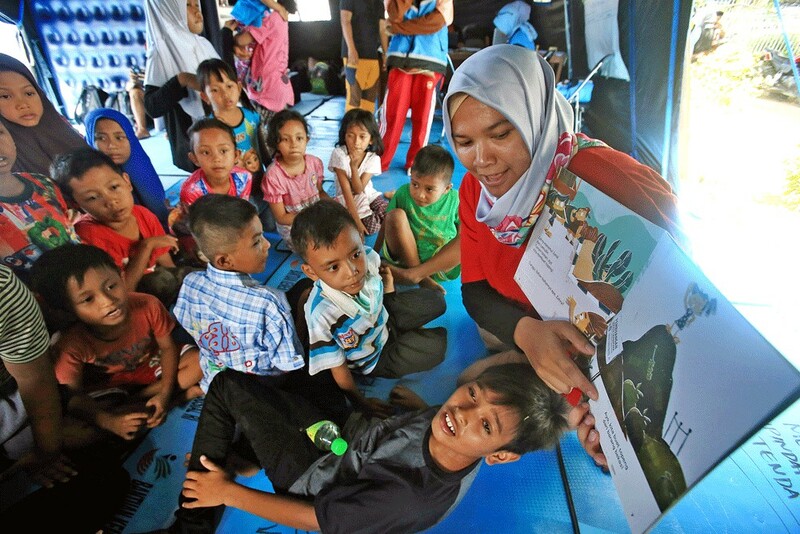 BNPB community empowerment director Lilik Kurniawan said on Friday that there will be classes on disaster mitigation at the 250,000 or 75 percent of schools that are in disaster-prone areas. The initiative follows President Joko “Jokowi” Widodo’s instruction last Saturday on creating an educational program for schools on disaster mitigation by the end of the year. The program took into consideration cases like the 2004 earthquake in Aceh where children, women and the elderly were the most vulnerable groups, making up 70 percent of the victims according to BNPB data. Focusing on what to do in the event of a disaster, the program will either be integrated into the curriculum or through extracurricular activities such as pramuka (scouts). “We will make it easier for students to understand [disaster mitigation] by presenting comics, games and short films,” Lilik said at a press conference. While a similar program has been implemented at 1,500 schools by the Education and Culture Ministry since 2012, Lilik said the new program will be easier to implement as “anyone can participate in educating the students". “Previously, those who ran [the program] were staff under the ministry. The difference is that anyone can now help to educate them. We will give them a new module that is different and tailored to the volunteers' needs,” Lilik said. The module will be accessible through various BNPB portals, which he said would be completed in two months and implemented as soon as possible, although no dates were specified. To complement the program, the BNPB would also evaluate emergency facilities at disaster-prone schools, including emergency routes and the nearest exits for each classroom. The BNPB will also hold a nationwide disaster drill at schools on April 26, dubbed Disaster Alertness Day. At the same press conference, the head of the tsunami and earthquake division at the Meteorology, Climatology and Geophysics Agency (BMKG), Rahmat Triyono, said his team would also continue its yearly program “BMKG Goes To school”, which has similar aims to the new program. Triyono expressed hope that in the long run students would be better prepared during emergency situations after taking part in such preventive initiatives. “Pupils in Japan are aware of the procedures during an earthquake from a very young age. They know that they need to go outside rather than under the table,” Triyono said. For the general public, the BNPB will hold a similar program in villages and utilize local religious leaders in spreading awareness on disaster mitigation measures. As well as the instruction on education, Jokowi also called for disaster-resistant urban planning that involved experts, assigning regional governors as the chief working unit during emergencies, building integrated warning systems and organizing regular disaster simulations. Amid the election campaign, Lilik expressed hope that each presidential candidate would have the same vision on strengthening disaster mitigation. “The fact is we are a country that is susceptible to disasters and thousands of people have died recently. I believe that [disaster mitigation] should be a priority no matter who the president is,” Lilik said.